multifaceted academic journey available to our students. Carrollton students typically graduate with a blend of coursework that exhibits to colleges and universities the depth and breadth of the classroom experience. 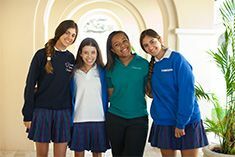 Click here to read more about the Upper School.